February 7, 2017 Jack Kemp, J.D. The health of workplace culture begins with the leader. The ideal place to enact assessment is first within ourselves and then our teams will follow. Referencing our leadership "sinew" in my previous post, I mentioned 12 critical components to test in our leader-selves. The first two are critical leadership constituents - authenticity and integrity, and humility is closely tied to both. 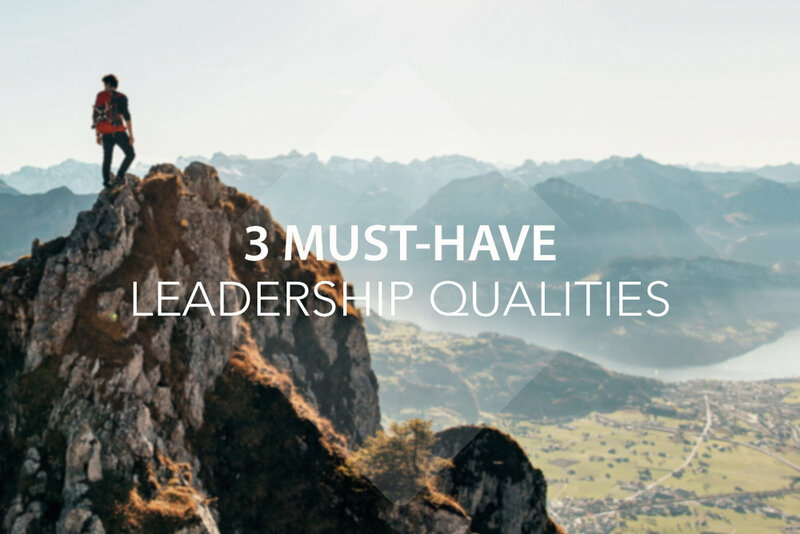 These are three "must haves" for the healthy and effective leader. Authenticity and Integrity are battle buddies for effective leaders in the foxhole. These leaders dart from skirmish to skirmish closely followed by their teams, charging the hill to achieve impassioned and world-changing vision. Humility follows closely behind. 1. Integrity – Do What You Say! A leader with integrity, put simply, does what she says she will do. The Bible teaches that whomever walks with integrity, walks securely. Integrity guides and lifts, whilst crookedness destroys. (Proverbs 10: 11&28). Integrity is a critical component of character, so identify its lack in your life. How? Compare what you say with what you do. Wherever they don't match-up reveals a gap in character. We must continually check and develop our character. 2. Authenticity – Add Value and Look Up! An authentic leader is genuine in interaction and can be continuously counted upon. What does authenticity require? A combination of things including humility, love, awareness (understanding the gifts you possess and those you don't), pointing to those around you when things are going well (and to yourself when they're not), constant gratitude, intentionality to add value to others and focusing on significance over success. Authentic leaders possess a humble spirit ready to give credit or accept blame as necessary. Bill Hybels teaches that "leaders lift." Make it your goal to genuinely add value to others every day, lifting others (and the organization) to the pinnacle of success. You're the leader and you see and cast the vision - so look up, add value, lift others and say "let's go there." Therein lays your opportunity for a contribution of significance. 3. Humility – Check Your Ego! We all have one. Check your ego. Authenticity requires this! John Ruskin was quoted, "Pride is at the bottom of all great mistakes." Pride will pivot our focus from others to ourselves. It is the opposite of humility. CS Lewis writes, "True humility is not thinking less of yourself, but rather thinking of yourself less." A simple and frequent indicator of prideful leadership: a tendency to blame others, to live in denial and display rigidity to other viewpoints... and the inevitable result: low team morale. How do we overcome pride? The best offset for pride is gratitude. If you have to, force an attitude of gratitude. It won't be long before it takes. Recognize that you can't take credit for your gifts and you can't take credit for your blessings. Do this, and suddenly you'll experience more contentment and more unforced gratitude, which will invariably lead to greater joy, humility, and an ability to readily give credit and accept blame as necessary. The inevitable result: You'll be a better leader! Jack Kemp is former military, an attorney, business leader, non-profit executive, organizational coach, connector and collaborator. He presently serves as Managing Principal for PrimAscend, LLC, and previously as Divisional President of a large US non-profit. He has also served on church leadership, for-profit and non-profit advisory boards and committees. Jack’s degrees include a B.S. and J.D., and he has experience in organizational assessment, strategic planning, leadership coaching, risk mitigation and crisis management.